Inspite of extensive financial planning, we often land up situations where we fall short of funds to meet immediate expenses. During such times, a personal loan comes in as a saviour to meet those obligations. A personal loan is an unsecured short-to-medium term loan, which can be availed quickly to meet various financial needs. You can use a personal loan for various purposes including renovating your house, planning a vacation, sponsoring education, meeting medical expenses, consolidating a debt, affording a lavish wedding and many others. In other words, it is an ‘all-purpose loan’ with no restrictions on the end use of funds. Once you have decided to take a personal loan, the next step is to apply for it. When you make an application for a personal loan, you have to fulfil certain eligibility criteria to avail a personal loan. These conditions are, you must be minimum 21 years old, salaried with specific income and you must have a good CIBIL score to qualify for the loan. The question is what is a CIBIL score for personal loan? CIBIL score is an important parameter that facilitates your loan approval. Since personal loans are unsecured loans, lenders run a risk of losing money if you default on loan repayments. So, in order to mitigate the risk, lenders check your credit score before approving your personal loan application. A credit score is a number assigned to every individual which reflects his/her creditworthiness. This score is assigned to you by CIBIL which collects and maintains records of all your credit-related activities with banks and other financial institutions. It aggregates the collected information on your financial behaviour and assigns you a number. This number is called a credit score. To avail a personal loan, a minimum CIBIL score of 750 is generally required. The higher your score, the better are your chances of loan approval. 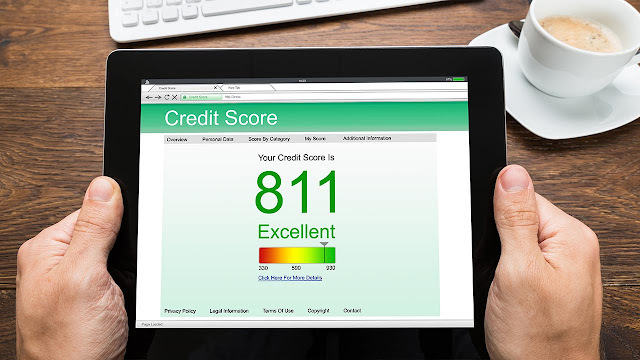 A higher score means you have a good credit history and creditworthiness. With a score of 750 or more, your loan application will be processed quickly and without any hassles. Apart from quick approval and easy access, a good CIBIL score for personal loan also helps you fetch a higher amount of loan with the lower interest rate. Now that you know what is the minimum CIBIL score to get personal loan, the next question is how to improve credit score in India. If you have a lower score than 750, you can improve it by having a good track record of your credit history. Try to maintain a good credit mix of secured and unsecured loans. Having too many unsecured loans creates a negative impact on your credit rating. If there are any errors in your credit score, get them resolved quickly. It is advisable to refrain from applying for a new credit without resolving errors. Keep an eye on your credit utilisation ratio. If you have a credit limit of Rs. 2 Lakh, it does not mean you utilise that limit every month. Avoid using your credit card to pay for every purchase. Apply for a secured credit card which can be availed against a fixed deposit of minimum amount. These tips will help you improve your credit score in India. Maintaining a good CIBIL score is very important to maintain a good financial history. Banks and other financial institutions look at your credit score before taking a decision of lending you the loan amount. If you maintain a credit score of 750 or above, you are more likely to get the loan approval and your application will also be processed quickly and smoothly. Moreover, with a good score, you can negotiate better loan terms like lower interest rate, higher loan amount, etc. If you have a low credit score and you’re wondering how to improve credit score in India, then few easy tips like making your loan repayments in full and on time, not defaulting on your payments, not using excessive credit, getting credit errors corrected, maintaining good credit utilisation ratio, etc. can help you improve your credit score. This credit will help you to get loans. Thinking of Investing In P2P Loans which even help you as a consumer so start investing in the consumer loans. "Lost Pet" posters bring to thoughts the heart-wrenching possibility of the one you love pet wandering out of your life and becoming every other photo at the phone pole. "The youngsters truly pass over her, solutions to the name Becky."